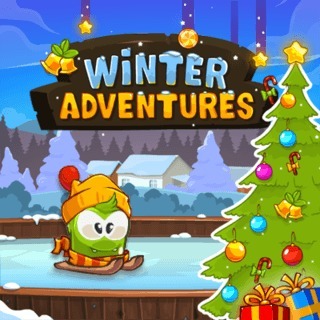 Play Winter Adventures and more Skill Games on Games1.com! Play Winter Games Online Discover winter wonderland! In Winter Adventures you accompany a tiny green creature. Go winter skating on a frozen lake, collect stars and avoid frozen obstacles. Gather as much stars as possible to decorate your Christmas trees and beat the highest score.